(MoneyWatch) The March jobs report was a disappointment: Only 120,000 new jobs were created, versus expectations of over 200,000 and the unemployment rate dropped to 8.2 percent from 8.3 percent in February, leaving 12.7 Americans still out of work. Given the three previous' months results, where job creation averaged 246,000 per month, this report is a setback to the nation's labor market. Even though the economy has added 858,000 new jobs since December, whenever I think about the jobs situation, I always think of one word: BUT. Yes, there has been a marked improvement in the jobs market and the unemployment rate of 8.2 percent is the lowest since January 2009 - BUT we still have a long way to go. After the last employment report, someone said to me, "Can't you just be happy with progress?" Hey, I love progress, but I also receive tons of e-mails from struggling people who are still out of work or desperately trying to rebuild their financial lives after finally landing a job. So forgive me if I present the good news, with an asterisk. The unemployment rate is down from over 10 percent only a couple years ago, BUT it has remained above 8 percent for three years, the longest stretch since monthly records began in 1948. Just before the beginning of the recession, the rate was 5 percent. The reality is that the rate might not budge for a while, because as conditions improve, more frustrated workers re-enter the labor force and restart their job searches. The new entrants increase the "participation rate" or the percentage of the working age population in the labor force. The government only counts those in the labor force who are actively looking for a job as "unemployed," which means that the economy needs at least as many new jobs as new people entering the labor force, just to keep the unemployment level even. In March, there was a slight drop in the participation, which is why the unemployment rate dipped. For months we worried about job losses and paltry gains, so four consecutive months of more than 200,000 new jobs is welcomed, BUT at the current rate of job creation, it will take approximately 4 years to return to the pre-recession level of unemployment of 5 percent. Additionally, since employment bottomed in February 2010, the economy has added approximately 3.6 million jobs, BUT there are still 5.2 million fewer total jobs now than when the recession started. There are more new jobs, but it's still hard to land one job due to competition. As of March, there are 3.6 unemployed people for every job opening available, the lowest ratio in three years. Still, the ratio is usually 2 to 1 in a healthy job market. The Institute for Supply Management said this week that 20 percent of its members say the shortage of skilled labor is one of the reasons they can't fill jobs. Sure lots of people are getting jobs, BUT at lower salary levels. According to a recent Rutgers University study, just 7 percent of those who were let go during the recession have matched their previous income. A little over half reported taking a pay cut - and of those, 29 percent took a reduction in salary by 30 percent or higher. 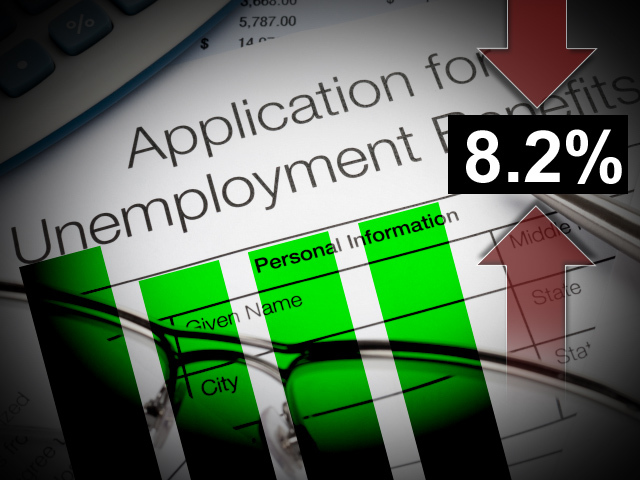 To top off the bad news, 30 percent of the reemployed took a reduction in benefits. People are taking the jobs that are available and in the recovery, those jobs are increasingly found in low-paying areas of the economy. According to the Wall Street Journal, nine of the 10 most popular professions in the U.S. (administrative assistants, laborers, janitors, customer-service representatives, wait staff, food-preparation workers, office clerks, cashiers and retail salespersons), that account for more than 20 percent of total jobs, make less than the average wage in the U.S. -- $45,230. Only registered nurses, earn more than the average ($69,110 a year). -The improvement in the jobs landscape is great, BUT it can't reverse the impact that unemployment has on total earnings. Recent research ("Recessions and the Cost of Job Loss, NBER" by Steven J. Davis and Till von Wachter) quantifies how much unemployment can impact lifetime earnings. If the unemployment rate is above 8 percent, the average earnings loss equals 2.8 years of pre-displacement earnings. The unemployed worker will earn 19 percent less than an employed worker in the same field. As my colleague Mark Thoma notes, "The longer that the unemployment rate stays high, the larger the permanent losses -- losses that fall mostly on individuals who have done nothing to deserve such a fate except choose the wrong occupation, be born at the wrong time and enter the workforce during a recession."